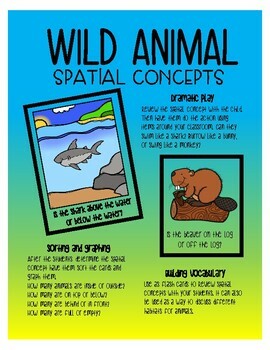 WILD ANIMAL spatial concepts cards for teaching students concepts such as above, below, inside, outside, in front of, behind, on, off, full and empty. 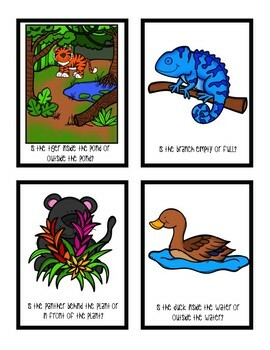 There are 36 animals cards including rain forest, desert, ocean, polar and wetland animals! 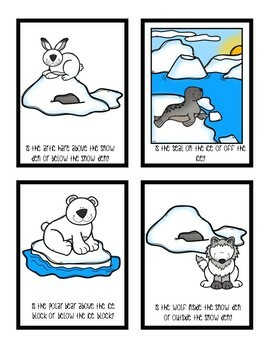 (PDF pages for easy printing) along with teaching ideas of ways to use these. These products are for personal and classroom use only and may not be altered in any way. 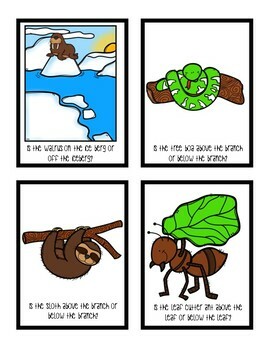 The awesome clip art credit for this product goes to the following artists.